Are you looking to take and pass the Massachusetts real estate license exam? This article is for you. 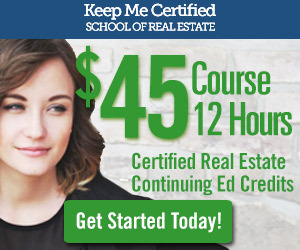 Based in Boston, Keep Me Certified offers the required 40-hour real estate license exam prep class to qualified candidates once per month. We are based in Boston and our class is streamed live online through Facebook, which gives students the ability to actively engage with the instructor and ask questions throughout the course. Facebook offers our students a robust and familiar platform that’s reliable and easy to use. Our first real estate license class streamed live in September 2017. Ten days after the class ended, we heard from our first student that they passed the test! Congratulations to Annie T. from New Hampshire on being the first graduate from our online class to pass the test and receive her real estate license! “I just wanted to say “Thank you” for your class. I attended my first class with you on September 9th and by September 26th I had my license!!!! Your class had me so well prepared I breezed through it! Thanks again. You guys rock!! !” – Annie T.
By the time we complete the final class, our instructor will have taught and reviewed all of the important (state and national) topics candidates need know to pass the real estate license exam. 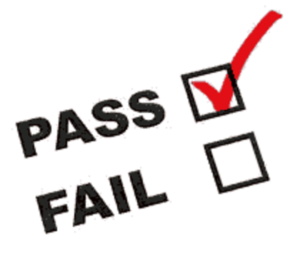 A passing score is 70% and there are a total of 120 questions asked. Each of our real estate license class sessions is recorded so when our students are studying they can go back to review any portion of the class at their convenience. What actually happens in the inside of a dishwasher? Bricks to clicks: Why take your Continuing Ed online?